Marini attended Accademia di Belle Arti in Florence in 1917 and although he never abandoned painting he chose to devote himself more soley to sculpture from around 1922 on. His work was influenced by Etruscan art and the sculpture of Atruro Martini. He succeeded Martini as professor at the Scuola d'Arte di Villa Reale in Monza near Milan in 1929 until 1940. Marini traveled frequently to Paris where he associated with Massimo Campiqli, Giorgio de Chirico, Alberto Magnelli, and Filippo Tibertelli de Pisis. He moved to Tenero-Locarno in 1936 and for the following years visited Zurich and Basel. 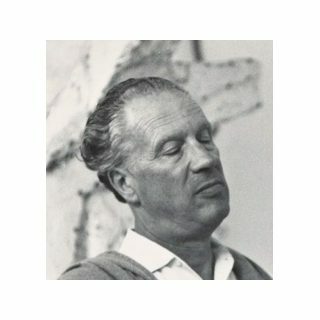 It was here that he became a friend of Alberto Giacometti, Germaine Richer, and Fritz Wotruba. 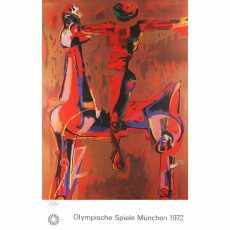 He received the Prize of the Quadriennale of Rome in 1936. In 1938 he married Mercedes Pedrazzini. He then chose to accept a professorship in sculpture at the Academia di Belle Arti di Brera, Milan in 1940. He went into exile in Switzerland in 1943. In 1946 the artist settled permanently in Milan until his passing. He is buried at Cimitero Comunale of Pistoia, Toscana, Italy.